You’re shopping for a Porsche because you want the best of the best. 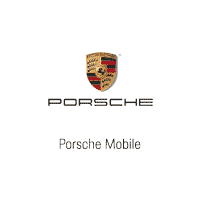 That’s what you’ll get at Porsche Mobile of Mobile, Alabama. We stock the hottest models in our new inventory, including the 2019 Porsche Macan, the 2019 Porsche 718, and the 2019 Porsche Cayenne. We specialize in helping each customer find the car that works for their lifestyle. If you’re not looking to buy brand new, our used inventory has plenty of enticing options. Our CPO inventory also carries a multitude of vehicles that have undergone extensive inspection before resale. Once you’ve found the Porsche that you just can’t let go, the team in our finance center will help create an optimal payment plan. You can even use online tools to pre-qualify or calculate monthly payments to see what’s in your range. When you bring your Porsche into our service center, our expert technicians and Genuine Porsche parts will get you back on the road in no time. We even offer service coupons. Contact us today to let us answer your questions or help you schedule a service appointment.